"The career of a young theoretical physicist consists of treating the harmonic oscillator in ever-increasing levels of abstraction." These lecture notes are based on an introductory course on quantum field theory, aimed at Part III (i.e. masters level) students. The full set of lecture notes can be downloaded here, together with videos of the course when it was repeated at the Perimeter Institute. Individual sections can be downloaded below. Table of Contents; Introduction; Lagrangian Field Theory; Lorentz Invariance; Noether's Theorem and Conserved Currents; Hamiltonian Field Theory. The Lorentz Group; Clifford Algebras; The Spinor Representation; The Dirac Lagrangian; Chiral Spinors; The Weyl Equation; Parity; Majorana Spinors; Symmetries and Currents; Plane Wave Solutions. Gauge Invariance; Quantization; Inclusion of Matter -- QED; Lorentz Invariant Propagators; Feynman Rules; QED Processes. Quantum Field Theory by Michael Luke. Philip Tanedo, who took this course long ago, has put together a useful literature review of quantum field theory textbooks. The late Sidney Coleman taught the quantum field theory course at Harvard for many years, influencing a generation of physicists in the way they view and teach QFT. Below you can find the pdf files of handwritten lecture notes for Coleman's course (transcribed by Brian Hill). The notes come in two large files, each around 6.5 Mb. These notes were subsequently latexed and posted on the arXiv. The original videos of Coleman's course from the mid 1970's are also available here. Another, older legendary QFT course was given in 1951 by Freeman Dyson. The notes are still relevant, and can be found here. Lecture notes copyright © 2006 David Tong unless otherwise credited. Permission is granted to copy and distribute freely, so long as proper attribution is given, no alterations are made, and no monetary profit is gained. 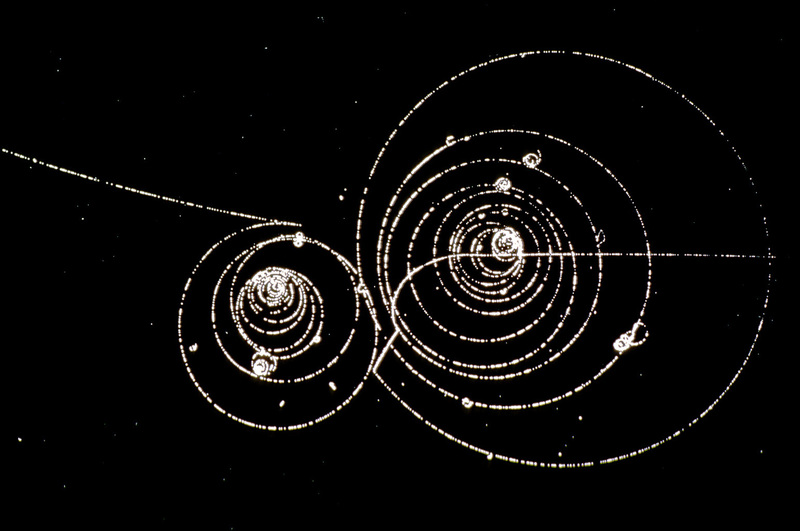 Image of the decay of a K+ meson in a bubble chamber, copyright CERN 1973.